Elopement or small wedding ... a garden is a beautiful place for it. 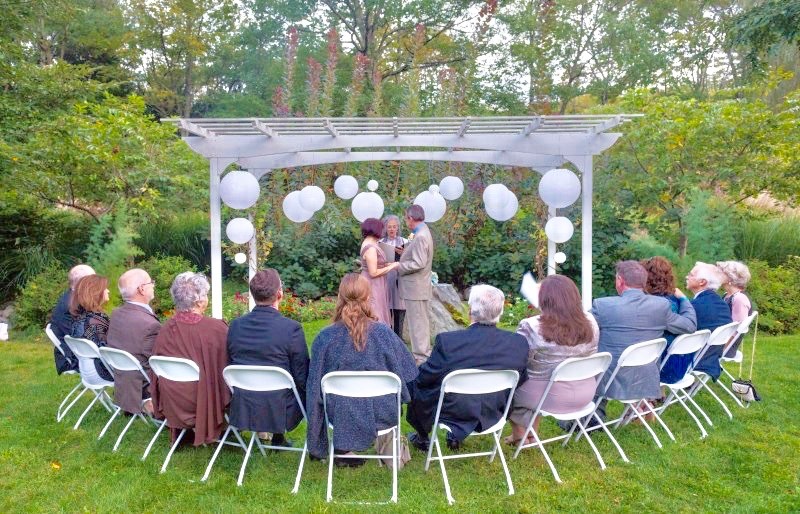 If you are looking for an intimate outdoor ceremony site, Harmony Gardens may be perfect for you. 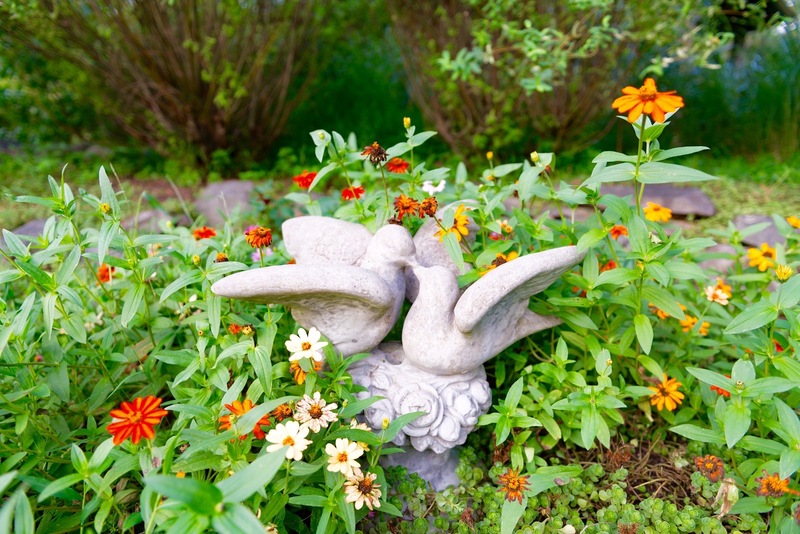 Harmony Gardens provides a peaceful and beautiful environment. We are located in the fooothills of the Pocono Mountains of PA. From 2 to 35 people, Harmony Gardens can accommodate you beautifully. If your wedding is smaller, most resorts may not be a good fit. Or if it's just the two-of-you, you still deserve a charming setting for this important milestone in your life. Last minute? We can make it work! The fair price structure also (and importantly) includes Lois Heckman to officiate your ceremony! Be sure to check out the PHOTO page! The main circle features a large white arbor with lights, over the altar rock. Next to it is our gorgeous PAVILION, where you can add a social hour, and also serves as the perfect back-up plan for rain. 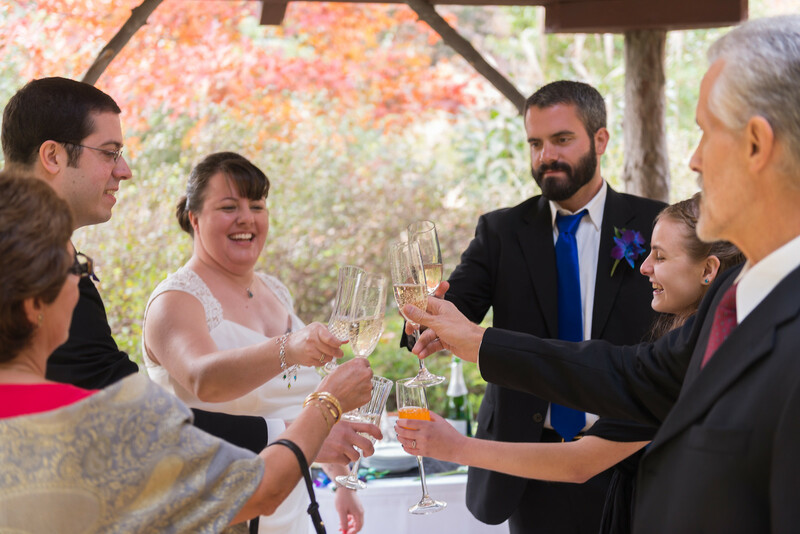 Whether you are having a reception or party at home, hall or restaurant, or simply going out for a meal to celebrate, you may be having difficulty finding the right location for your ceremony. Perhaps you plan a bigger event later. This is why we created Harmony Gardens. Electricity at site, and convenient parking. Our pavilon - next to the main ceremony circle - a beautiful covered space, perfect backup for rain or for a social hour, post-ceremony. Contact us for exact driving directions - DO NOT NECESSARILY RELY ON GPS - We'd love to have you come see the garden but please make an appointment. 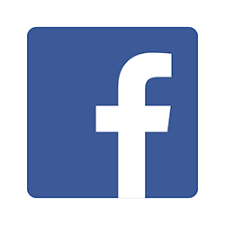 We can also make recommenations for photography, accommodations, cake and bouquet delivery, local restaurants and attractions, and more. Be sure to check out lots more photos here! Harmony Gardens is fully insured.